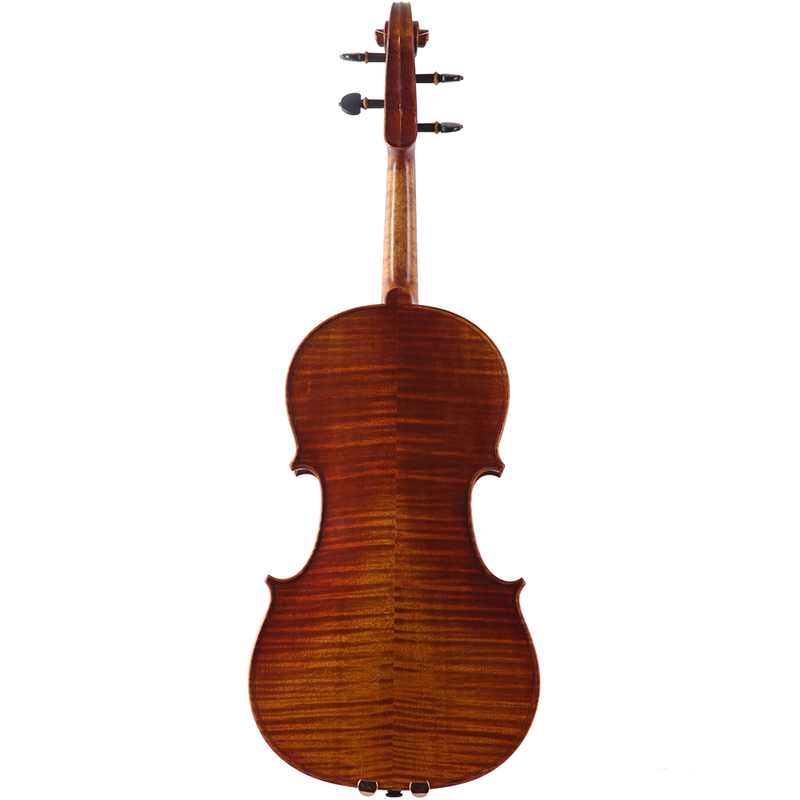 “Peter Kauffman” viola. Transparent, warm sound with antique dark brown varnish. 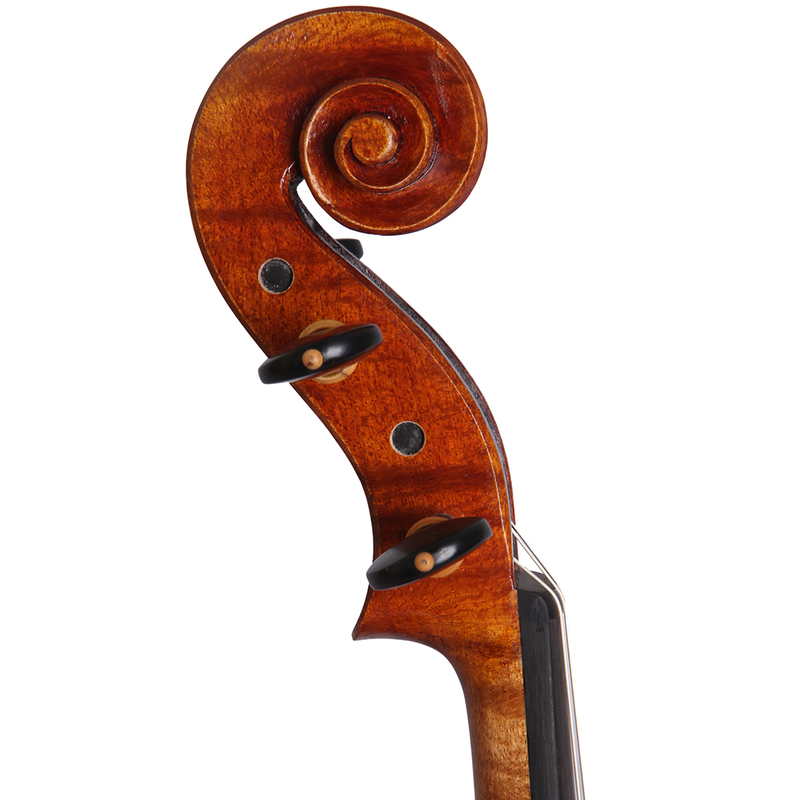 Easy to response, made of nicely flamed maple, and seasoned spruce top. 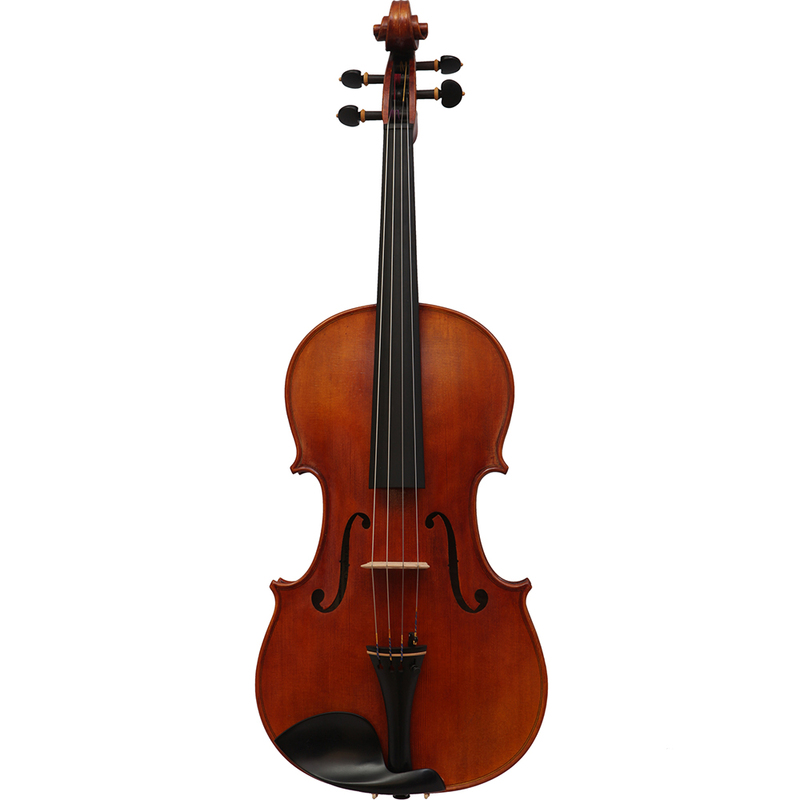 The maker combine distinctive workmanship and quality material to produce truly fine viola for the dedicated student or serious amateur. Available in Stradivari and Tertis patters. Setup: D’addario Helicore viola strings, Aubert “ Luxe”bridge or Despiau “ 2 tree” bridge. 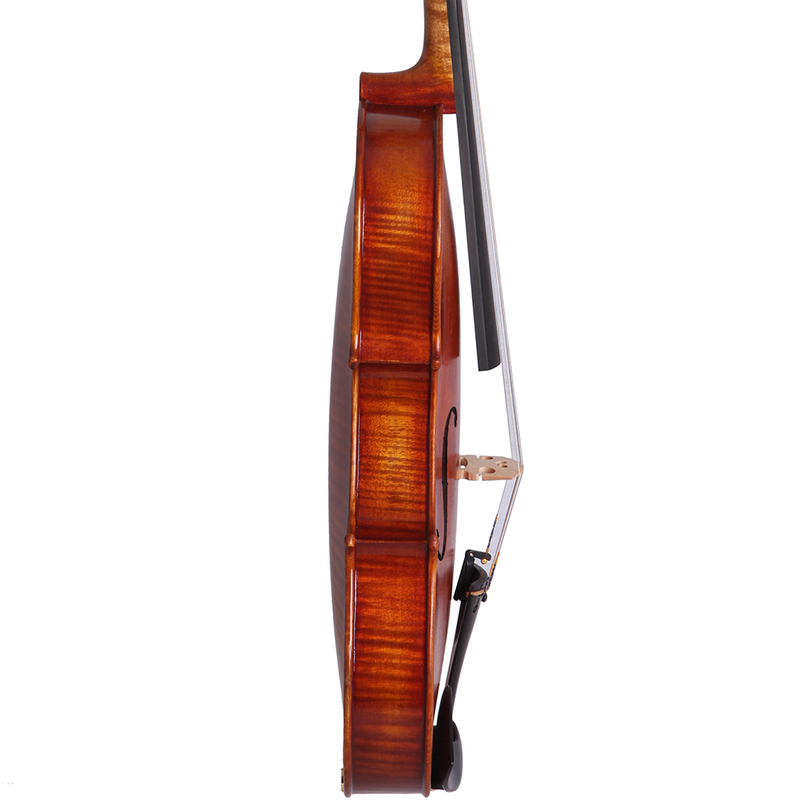 Ebony fingerboard, Ebony/Boxwood pegs, Ebony/Boxwood chin rest and tailpiece.